Unforgettable setting for this wonderful Tuftonboro waterfront log sided home in picturesque Melvin Village on 44,000 acre Lake Winnipesaukee. 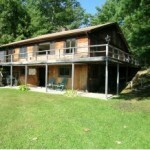 Beautiful sandy beach with huge level grassy lot, great for fun and entertaining. Spectacular lake and mountain views. Southwest exposure with all day sunshine and beautiful sunsets. 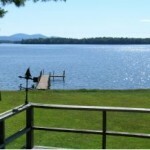 Large seasonal dock and a mooring complete this total waterfront property. This open concept home is in turn key condition. Agent has interest. Furniture negotiable. I just visited this home and it has a beautiful private location with a large carport to store your boat and snowmobile in the winter. Tuftonboro is a low tax town and this 2 bedroom home is in move in condition, open concept floor-plan with bamboo flooring. 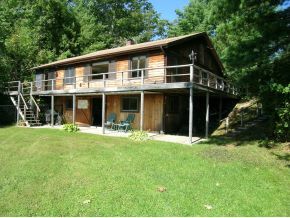 Deck area is sun drenched and the walk out basement could offer additional living space. Listed by Melanson Real Estate R. Haskell. 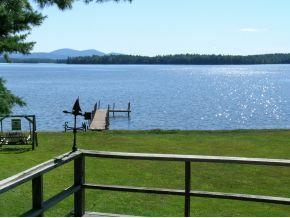 For additional information on this home call Lady of the Lake Realty at 1-888-737-5550 or e-mail at info@nhlakesrealty.com or visit our website to view similar lake homes in New Hampshire at www.nhlakesrealty.com or www.lakeorskirealestate.com.